Rich, thick and delicious this citrus smoothie is the perfect, nutritious way to start your day. 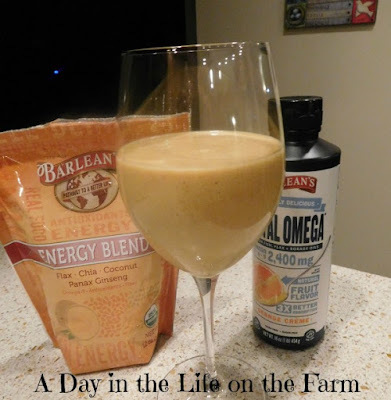 One of our sponsors, Barleans, sent me an energy blend containing flax, chia, coconut and ginseng and a bottle of total omega, orange creme flavored, flax oil. I get my yearly physical each March and when I was at the doctor's earlier this month she talked to me about my cholesterol levels. She recommended that I take flax seed oil each day stating that it was just as beneficial as prescription medication for lowering cholesterol levels. That's a pretty good reason to incorporate these ingredients into your diet. The best reason though is that it makes my morning smoothies absolutely, amazingly, delicious. I make a lot of smoothies in my house and I think this recipe is one of my favorites, incorporating fruits and veggies with almond milk and Barleans Energy Blend and Total Omega. You will find my recipe right below these other Spring Sweets. Place the banana, orange and carrots into a heavy duty blender. Add the almond milk, Energy Mix and Total Omega Swirl. Top with the ice cubes and puree until completely smooth. Orange creme is one of my favorite flavors. This looks so easy and delicious. What a dreamy way to start the day! I bet even my kids would love this! I'm sure they would Kate. I struggle with meals on the go, so this will be perfect for me to get some nutrition in me and not skip a meal! 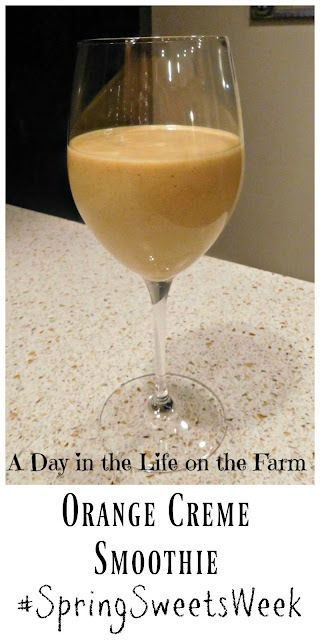 This sounds like a delicious breakfast drink or something to grab as a snack! That looks so delicious and refreshing too. I love how you were able to get so much healthy stuff in there! And it tasted decadent Carlee. That looks really good and refreshing. I can't wait to try it. Thanks for sharing, Wendy. That's for breakfast tomorrow! Thanks for the inspiration, Wendy! I'm so sad my Orange total omega was leaking all over the place when it arrived and I had to throw it away! Your smoothie sounds amazing. I'm sorry too Karen. It is amazing stuff. My husband has a smoothie every weekday morning, I bet he would love this one! I bet he would too Jaida. I like the addition of the carrots. They add so much to the already healthy smoothie. Yes, I try to sneak in veggies wherever possible. This looks so yummy! I bet the combination of the carrot and the orange is really good! 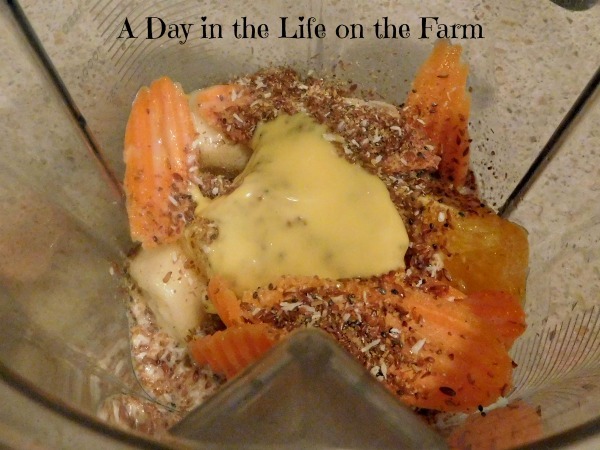 Looks creamy and delicious and oh so good for you! Sounds like a wonderful way to wake up your morning. And I love that you snuck a veggie in there! 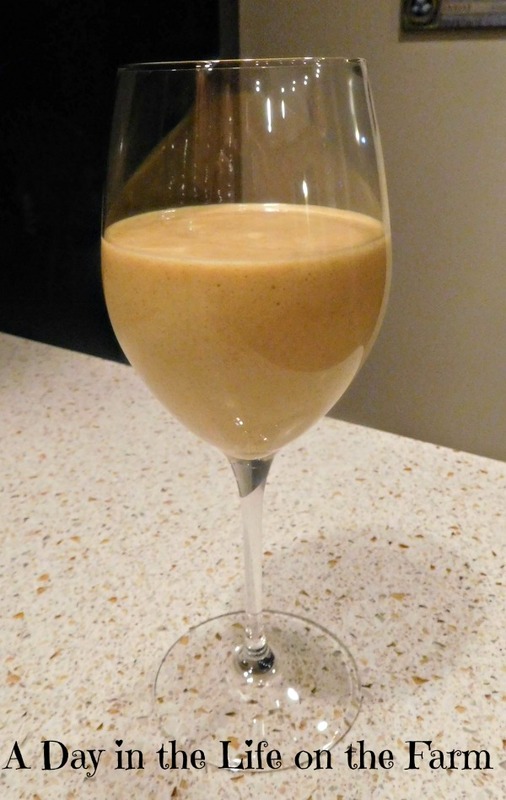 Orange is one of my favorite smoothie flavors, and I am excited to hear what your doctor said about the flax seed. It sounds like something I should include in my diet!